Leather dining chair available in a range of six leather colours. Designer back with a convenient hand hold. Solid wooden frame stained to a dark wood finish. 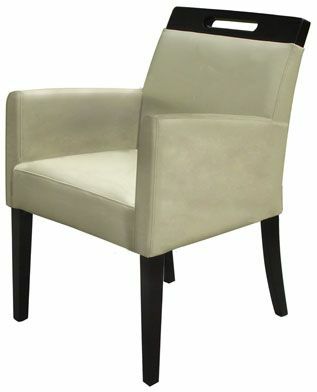 Destinctive style dining chair with feature slot on the upper back of the chair. Extra padded seat and leather upholstery, supported by a strong wooden frame. Available with a quick delivery.